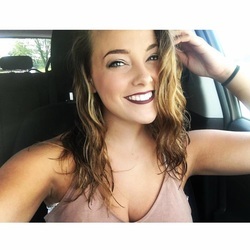 "To my fiends, understanding and appreciation"
​Shelby is a junior Criminal Justice major here at Marshall and is in her second year with Delta Zeta. She comes from Tennessee and has a passion for Delta Zeta, country music, reading Harry Potter, and painting in her spare time. Shelby has served as Banner Chair, and on Executive Board as VP of Philanthropy, VP of Programming, and now President. Upon graduating, Shelby plans to attend law school and eventually move back south. Taylor Foster is a junior at Marshall University studying Health and Wellness Education. 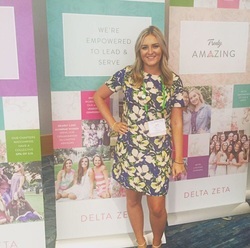 Taylor has previously served as Delta Zeta's Parent Relations Chair and External Courtesies Chair! Whitney Wright is a senior here at Marshall University and is studying communication disorders. Whitney enjoys crafting, working out, spending time with her cats and has previously served as Delta Zeta's Ways and Means Chair! Alex is a junior exercise science major here at Marshall University! She comes from Bridgeport, West Virginia and enjoys sushi, binge watching survivor, playing volleyball, and shopping with her sisters. Alex has served as Delta Zeta's Charm and Dress Chair, Academic Chair, Treasurer, and now VP of Programming! Krista Dickerson is from Hurricane, WV and is currently a junior at Marshall University. Krista is a pre-communication disorders major. She is also a member of the honors college and National Student Speech Language and Hearing Association on campus! Krista has a passion for our Philanthropy, speech and hearing, and plans to make a difference in the community with her degree! Ellen is a Junior biology/criminal justice double major with a pre-med emphasis. She is involved in the lacrosse club, the Newman center club, and Marshall Maniacs. Previously, Ellen has served as our PHC Delegate. 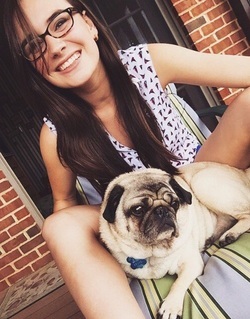 She also has a Pug named Pugsly!